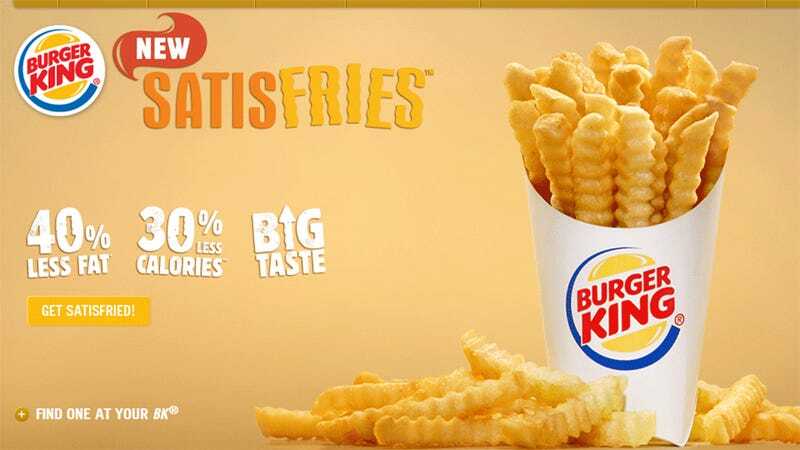 Burger King has unveiled Satisfries, a new potato product aimed at making people feel better about eating them using percentages and downward-pointing arrows. I feel healthier already. Thanks, numbers and arrows! Find out more here, while I prepare for a short road trip to see if they're the saddest fries.